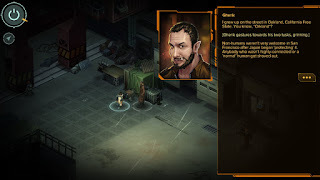 I just realized that I didn’t write up my experiences with the new Extended Edition of Shadowrun: Hong Kong! Let’s rectify that! 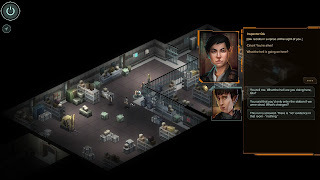 This is the promised mini-campaign sequel to the core game of Hong Kong, which was unlocked when the Kickstarter campaign reached its ambitious million-dollar stretch goal. The incentive was that all backers would get the mini-campaign for free. Harebrained Schemes ended up doing one better: they’ve updated the base game, replacing it with the Extended Edition at the same price, so everyone who bought Hong Kong got the new content for free. Pretty nice! Length and pacing. The mini-campaign has 3 story missions and 2 side missions. That’s long enough to feel like a meaty chunk of story - I started playing Friday night and finished Sunday morning with a couple of breaks along the way. But it isn’t overwhelming. The ratio of story to side missions felt really good, and was a nice change of pace from Dragonfall and Hong Kong, which were both primarily side-missions. New content. There don’t seem to be any new abilities, but are some really nice new weapons. They verge on the overpowered, but since you get them so late in the game it felt appropriate. Lore. I got a particular kick out of a chat with a CalFree expatriate and my investigation of a Shiawase bioweapon lab, both of which had nice loose ties to the world I’ve been building in my own CalFree campaigns. No new animatics or music. I didn’t necessarily miss them, but they did make this feel more like a well-crafted user-generated campaign than a full official sequel. Hub NPCs. As with the previous games, there are some folks in your hub who you can talk to between missions. Unlike the previous games, their stories never seemed to really go anywhere or tie in to anything else. Ending choices. (MEGA SPOILERS AHEAD.) It’s a tough choice, which is very Shadowrun-y, but also felt arbitrary and frustratingly limited. I had a very clear outcome in mind that I wanted: save the warehouse, turn it over to Mitsuhama, let Duncan clear his SIN, and have me and the rest of the old gang hired by Mitsuhama as a runner team. I liked Qiu more than Kindly, and it felt like this would be an optimal solution for everyone. It felt frustrating to have to choose between being a jerk to Duncan and staying with the rest of the team, especially when everyone owes me big favors and should be happy with that solution anyways. As with every previous game in the series, there are a shocking number of typos in the initial release. I’m sure that these will be swiftly patched, but I’m kind of astonished that, after putting out four of these games, they still haven’t figured out a good proofreading/editing/playtesting system to catch these in advance. No improvements for UGC. This is a selfish complaint, but I had been desperately hoping for a couple of fixes, particularly restoring the missing music and fixing a nasty bug with saved games and crew advancement. Neither was included, and the saved-game bug seems to have even metastasized and crossed over into the official content. This was a fun expansion, and hey, it’s basically free. It’s a bit lower-stakes than the main Hong Kong campaign, but still an exciting story that helps wrap up the arcs of the various characters we’ve encountered. 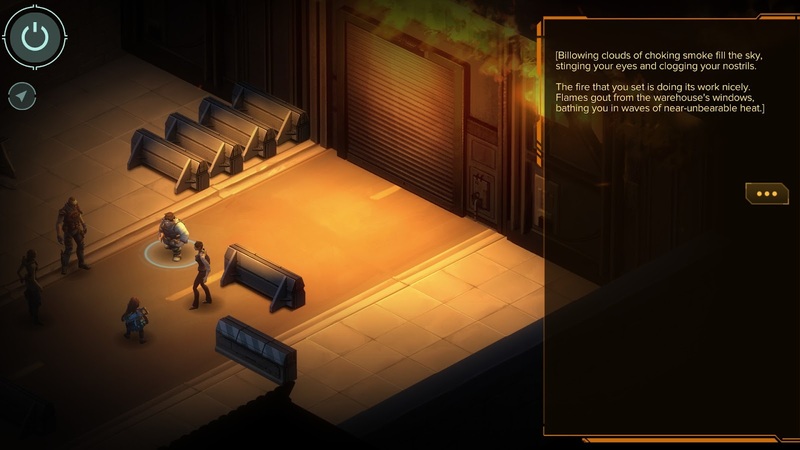 It’s also likely to be the last Shadowrun video game for the foreseeable future. Harebrained Schemes has said that they’ll be focusing on their other projects (notably Battletech and Necropolis) for the foreseeable future. 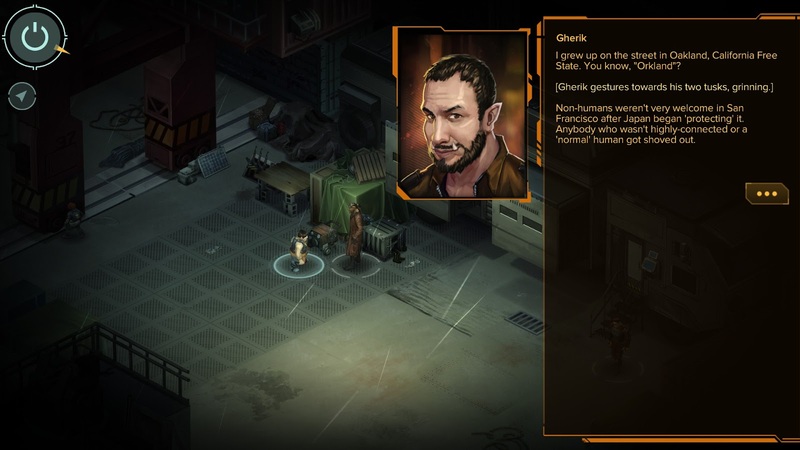 They may come back to Shadowrun at some point in the future, but HKEE will almost certainly be the last game built on this technology: any future game would probably be rebuilt from the ground up, most likely with more modern production values. That’s a bit of a shame - I’ve loved these games and have really enjoyed the entire journey, from the initial Kickstarter announcement back in 2012 through the final epilogue in the mini-campaign. This is a pretty good note to add it on… I really wish that the developer had cleaned up the editor offering more so there could be a more vibrant user-generated content scene during the interregnum between games, but on their own terms these are good games that will probably be remembered for their well-crafted stories and memorable characters. EDIT: Here is my requisite album. It has spoilers. 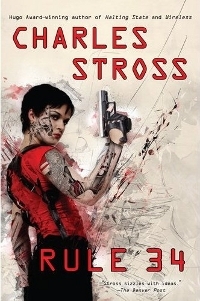 After far too long an absence, I’ve returned for my second Charles Stross book, Rule 34. It’s a semi-sequel to Halting State, set several years after the first book and set in the same world, but with a new story and mostly new characters. Like its predecessor, it has a vaguely annoying 2nd-person narration, but this is more than offset by its vibrant near-future science-fiction ideas and a greatly plotted story. I have even less excuse for the second-person narration in this book. In Halting State it had the vague justification of being thematically appropriate, since much of the plot of that book dealt with video games, which are famously a medium of fiction told in the second person. There are no video games this time around, but still a lot of technology. As before, it mostly takes ideas that are here today or could conceivably be Kickstarted next year, and plays them out in entertaining but fully grounded ways. It’s an interesting future that Stross has created. I wouldn’t exactly call it dystopic, but it is pessimistic. There’s no nuclear war or megavirus to take down mankind: just several other recessions following in the wake of the 2008 financial crisis, a global deflationary cycle, and the ongoing whittling away of civil liberties. People have come to accept the status quo, as they always do: each individual person in the novel is just trying to make their way through life and make things as good as they can. There are a few specific things that Stross plays with here, in the same way that he played with public-key encryption and massively multiplayer online worlds in the last book. The first is maker culture. We aren’t yet living in the world of The Diamond Age, but are several steps further along that pathway. Home fabricator units are reasonably priced and good at making various things. The government has regulated the sale and distribution of schematics (to protect against things like weapon manufacture), along with extrusion material (to track who is using home units). Of course, this has created a black market precisely for people who want to make these sorts of things. Fortunately, one of the few returning characters is Liz, the Scotland Yard detective who was probably my favorite protagonist in the first novel. As before, she has a fantastic perspective on law-enforcement: she’s very realistic, and accepts that they won’t be able to eliminate all crime, but at the same time feels a profound sense of duty to accomplish all that she can. As she understands it, her job is managing crime, not ending it: she constantly monitors the vast streams of data about all of the signs of illegal activity, and tries to determine what are the largely innocuous ills they can live with, and which are likely to spiral into more severe threats if left unchecked. The spread of rogue fabricators seems like an annoying sideshow early on, but it triggers her intuition, and eventually proves to have a strong connection to the rest of the story. The second major idea of this story is artificial intelligence. Not so much the classic science-fiction idea of virtual human personalities; as one character quotes, “Asking if a computer can think is like asking if a submarine can swim”. For the most part, the question of whether machines can become like humans is irrelevant: they’re exceptionally good at performing certain cognitive tasks. In this book, those tasks mostly have to do with spam detection and generation. There’s an arms race, familiar to anyone who uses GMail, between white-hat programmers building better and smarter filters to detect and eliminate unwanted email, and black-hat spammers building better and smarter programs to generate new emails (and ads and synthesized voice calls and so on) to bypass those filters. As in our own world, this arms race has outstripped the comprehension of the human programmers who started it. Machines are now better at judging whether a particular missive is machine-generated than a human is. It’s a weird, unsettling position to be in. It isn’t exactly the singularity (and one researcher laughs out loud when an investigator brings up the idea), but it is a point where people need to take their hands off of the steering wheel if they are to hope to keep up with their adversaries. The programs on both sides are now capable of rewriting themselves in response to incoming data, dynamically mutating in order to become more effective. Of course, everything is run by machines now. Even the police rely upon computer systems to help them determine what crimes to investigate: there are just too many crimes for an individual cop to keep them all in their head at one time. And so, you gradually realize over the course of the novel, what we’re seeing isn’t so much a matter of individual cops squaring off against individual villains, but entire NETWORKS that are locked in a struggle for supremacy, with human beings as the agents they’re using. And, the kicker is, it works. The massive surveillance system that has been built in all modern cities has effectively eliminated high-profile crimes. We’re told that Edinburgh has a single-digit annual murder count, which sure sounds like science fiction, but once again Charles Stross has anticipated reality: Rule 34 was published in 2011, when only 11 murders occurred; in 2013, there were only two. While it gets results, though, it’s extremely expensive: we see the enormous state apparatus required to achieve these results, which is extremely expensive, in terms of money, manpower, and curtailed civil liberties. It’s something that I cringe at, but is also very believable, and is absolutely the path that our society is set on now. You can definitely see why people would be willing to pay for it through higher taxes and giving up freedoms that they don’t really care about anyways, and why it’s politically expedient to accelerate the transition towards the surveillance state. Once again, what’s impressive is that Stross is able to set this up without it feeling like a traditional dystopic cyberpunk novel, but rather like the logical continuation of the world we occupy today. While the story focuses on this particular investigation, the occasional references to the broader geo-political situation are intriguing as well. From what I remember, these continue the trends that were already established in Halting State. America has become increasingly irrelevant; I genuinely enjoy the casual disdain most characters display towards this once-powerful empire, which is now primarily a source of schadenfreude. One of the best examples of that might be the completely offhand way in which one character remembers how embarrassed the US was when it had to announced that their drone program had blown up a motorcade which included the President… of the United States. The EU holds relatively more power in this dynamic than they do today, but they’re still hindered by the sort of infighting that you would expect. Scotland, the site of both novels (and Stross’s home) is in an odd position: it’s been granted independence, not so much out of a groundswell of Scottish nationalism, but for obscure political reasons (to increase the UK’s representation at the EU); they have their own legislature, courts, and crime forces, but their foreign policy and national defense are still run out of Westminster. Likewise, much of the plot deals with a breakaway republic from Kyrgyzstan, but as we discover, it didn’t so much win independence as forcibly receive it, along with 90% of the parent company’s debt, as part of a complex and multi-layered scheme for fiscal solvency. One quick note on characters - to the best of my recollection, Halting State had 3 narrators. There’s still a core of 3 here, covering a good range of perspectives: the cop (Liz), the crook (Toymaker), and the fall guy (Anwar). But there’s more variety here, and we get one or two chapters each from several other characters who are more peripheral to the plot: some victims who can shed light on events, and (eventually) some of the major players who started the wheels turning in the first place. It breaks the discipline of the narrative structure somewhat, but overall I liked the change… it was engaging to drop into some different heads and see the story from additional perspectives. I’m still trying to untangle the final plot; there are a LOT of revelations in the last few chapters. In several cases I felt like I was running ahead of what Liz and company were uncovering, but I’m still a bit unclear on exactly what was going on with the AI. The conspirators behind Issyk-Kulistan created (or reprogrammed?) the AI, but did it become self-aware, changing its ultimate mission to a broader mandate to fight ALL crime, including the (relatively lesser) one being committed by its creators? Or, were there two separate AIs, a crime-fighting one and a crime-creating one? Given the final chapter, I’m leaning towards the former scenario, but I’ll probably need to re-read it or consult online resources to determine for certain. Despite my minor frustrations with the narrative style, Rule 34 is a fantastic book. Like a lot of contemporary science fiction, it isn’t about imagining some far-off futuristic world, but about what might happen next year, or even next week. We’re living closer to the future than ever before: artificial intelligence isn’t some hypothetical possibility, it’s a significant part of our everyday life, and the cognitive leaps we need to accept to follow along with our science fiction are shorter than they’ve ever been before. Rule 34 gives us a great, twisty, multi-layered story that’s enjoyable on its own merits, in addition to being the perfect excuse to take a deeper look at the world our society is collectively rushing towards. After the arduous struggle through The Symmetry Teacher, reading Solitaire on my Kindle felt like a breeze. It's a good book, and also much more conventional than TST, while still offering up surprises along the way. I came upon Solitaire while trying to answer the question, "What other books are out there like The Steerswoman's Road?" The answer is, there aren't any, but Solitaire belonged to a short list that sounded interesting and were well-reviewed. Unlike the Steerswoman books, Solitaire is set in the near future, in a world of sovereign corporations and virtual reality, populated by recognizable people and organizations. 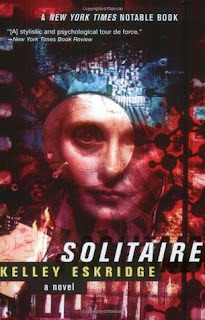 Now that I think about it, it wouldn't be a stretch to describe the world of Solitaire as cyberpunk, although it doesn't feel much like cyberpunk at all... while much of the story is grim, there's a fundamental belief in the goodness of people and the ability of working together which puts it at odds with the relentlessly dystopic and misanthropic tone of most cyberpunk. This is a world ruled by corporations, but they aren't necessarily bad, you just need to understand how and why they work. Actually, that was one of the things I appreciated most about this book: just how seriously it takes Ko. There's a tendency, particularly in science-fiction, to treat corporations as faceless, abstract, evil entities. Of course, any corporation is ultimately made up of people, and has its own culture, mores, and internal factions and rivalries. Ko is interesting because it's a sovereign corporation, so it takes on many of the traditional responsibilities of a state (child-rearing, housing, diplomacy), while primarily staying focused on making money. There are some ruthless, ambitious people at the top; but there are also people who got to the top by being bright, compassionate, and effective. Solitaire is the first book I've ever read where a major character is a project manager, and it might be the first book I've ever read that has even mentioned project management. It isn't just an empty title that gets thrown around, either: through Jackal's eyes we come to understand what project management means, and how it can inspire a group of talented and antisocial individuals to cooperate in creating something great. It was particularly sobering for me to read this as a software developer; I have to admit that, in Silicon Valley, there's often a dismissive attitude towards project managers: they're seen as paper-pushers who get in the way of the real work people are trying to do. It was really refreshing to see their role from the opposite perspective, how they help direct and channel energies; more than that, we see that the best project managers can read a crowd, draw out the people who need encouragement, blunt the attacks of hostile coworkers, and make everyone feel more confident in themselves. It's a great explanation of their abilities, and one that I hope I'll remember the next time I complain about a sprint retrospective. The novel also introduces some original ideas, both technical and social. One of the latter kind that I found intriguing was the concept of a "web". As I understand it, it's sort of an orthogonal family to which one belongs: not the family you were born into, but the one to which you were assigned. It's sort of a cohort, like you might find in a small school: the members are all the same age, and were assigned together shortly after birth. It's more enduring than a friendship: you might fight with another member of your web, but there's a strong cultural pressure to repair any such damage quickly. Members of a web are meant to support one another, share their ambitions and fears, turn to one another for help. I think there's a lot to be said for this idea... in a way, it seems like a modern replacement for the sprawling family structures that supported people for most of history, before the rise of the nuclear family in the 20th century. Jackal's relationship with Snow is rock-solid, but with her parents is fraught. We see most of this in the connection with her mother Donatella, who may be the least sympathetic character in the book. Donatella is controlling and manipulative, but not very good at either aspect, and so often resorts to tantrums in an attempt to get what she wants. She seems to be much more distant with her father; I sort of got the impression that her parents were divorced, but don't remember the book ever explicitly saying so. She seems to have a better rapport with her father, but it's also less relevant to her life. One thing I was a little curious about was exactly what happened with the elevator in Mirabile. I suspected that it wasn't what it had appeared: either there was a deliberate attempt on Jackal's life, which she inadvertently thwarted by getting blackout drunk in the bathroom; or else it was a crisis manufactured to put her in the position she ended up in. Given Jackal's background up to that point, it's hard to think of what enemies could possibly wish this upon her. It does have the advantage of having taken place off of Ko property, which could be a benefit for both internal and external foes: the former for better deniability, the latter for better access. She may have been targeted for her intrinsic value as a Hope, or (less likely) because of her involvement with project Garbo. Nothing comes of this by the end of the book, though, and I'm left tentatively assuming that it really was just an accident. Occam's Razor, I suppose... it's something that's extremely common in the real world, but we just aren't used to seeing in novels. Of course, it's possible that there really was something more sinister behind the event, and that it's being saved up for a sequel. The book ends on a pretty satisfying note for a standalone novel, but there are definitely breadcrumbs left behind that could point the way towards a follow-up story. Steel Breeze seems to be a major and growing threat. The violent Solos are vividly drawn, but only Astar really enters into the story for long. And there's a subplot dealing with a guy who was summarily banished from Ko which didn't seem to go anywhere, but might hint at some larger and more ominous maneuverings around the development of Garbo and which could crop up again in the future. All that said, to the best of my knowledge there won't be a sequel, and that's fine. While I've enjoyed this book, I'm also happy to let it be its own thing. Hey, I'm already waiting for a conclusion to the Steerswoman's Road, it's nice to be finished with a thing for once! It doesn't look like Kelley Eskridge has written any other novels, but in the meantime, I might check out some of her short fiction and essays. The Symmetry Teacher has been on my reading list for over a year, and I have no recollection of why I put it on there. Most likely it was from a "briefly noted" New Yorker blurb or something similar. I felt oddly distracted when I started reading it: I was trying to get into the book, but at the same time, I was trying to figure out what about its description made me want to read it in the first place. It all fell together by the end. 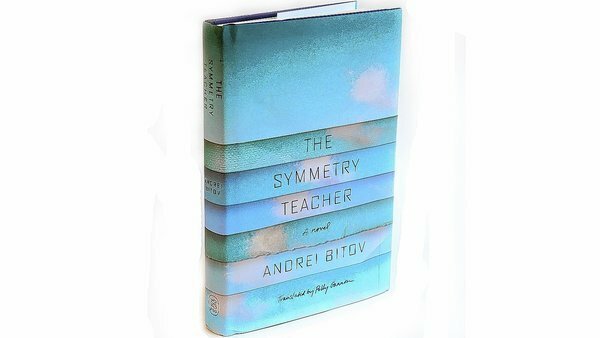 Like several recent favorite novels of mine, The Symmetry Teacher (translated from the Russian) is a series of linked short stories. They are set in different times, have different plots, and cover a wide range of literary styles. Over time, though, you gradually begin to piece together the links between the different tales. One story has an eager young journalist interviewing an elderly author; later on we read the story that the author wrote; a later story features the author as a contemporary in another's story, and so on. Writing about authors writing is practically the definition of postmodernism, but this book feels distinct from the hallmarks of that school. The Symmetry Teacher doesn't seem to ultimately be about itself: it's about the story it's telling, and by merging author, narrator, and character, it's able to provide a full range of perspectives on the tale. Speaking of difficulty: one recurring theme of The Symmetry Teacher that really appealed to me was the difficulty of writing. We see characters attempt to write poems, then discard them as inadequate; start writing a story, only to get distracted and lose their train of thought; form a club devoted to their inability to finish any novel they start writing. In a way, even the novel's enveloping conceit illustrates this: Bitov is "translating", from memory, stories that he "read" long ago in a foreign language, and the novel is peppered with footnotes bemoaning the essence that was lost in translation. It's fun, and very relateable, to see characters in a novel struggle to stay focused and produce the great works that they desperately hope lie within themselves. Whoever builds a house is not the one who lives there. Whoever created life does not look for meaning there. Thought from above does not understand itself. Take the road, and on it, overtake yourself. There's a lot to unpack there, and in most of the poetry to be found here. It reminded me a little of Roberto Bolaño - he doesn't drop much poetry into his novels, but when he does, it's fantastic. It probably shouldn't be surprising for a Russian novel that was translated into English, but the story veers repeatedly between a focus on Russia and a focus on Britain. Interestingly, the Russian elements seem to be very focused on time: the lineage of the literary canon, the evolution of the state over centuries. In contrast, when Britain is invoked, he seems to be very focused on the culture of the moment: the manners, the trappings of imperialism, the economy. Other countries (America, Poland, Italy) are only very briefly mentioned and not explored. One thing that has been nagging at me since I first encountered it is "The Plot". From the context in which it is raised, it seems like this is probably referring to "plot" as in "a plot of land" - we've just heard about Russia's vastness and the special character of the land, so that's the most likely connection. And yet, as it gets used more and more, it increasingly seems as though "plot" is probably referring to "story". The phrase fades away without the dilemma ever being resolved, and I had chalked it up to my own lack of understanding, only to have it float back in again near the end, at which point I realized that it was probably an intentional ambiguity. The story is the land, or perhaps the other way around. And this, in turn, finally gives a link to "O: Number or Letter? ", the second story, about the man who fell from the moon. Gummi's plot entirely revolves around his plot, whether it is the moon or the monastery or the impression left below his body. I still don't understand how everything connects, but the link between space and story is repeated so many times that it seems like the key to deciphering this book. So, there you go! I enjoyed this book, but I'm mostly glad to have finished it. I'll mull over it a bit longer and see if any other revelations pop out at me, but for the most part I'm just happy to remember it as an intriguing, often inscrutable little puzzle of a novel. One of his most recent videos touches on a subject very dear to my heart: the legacy of the Infinity Engine games (Baldur's Gate, Planescape: Torment, and Icewind Dale) and the recent wave of new games that invoke this classic isometric Western roleplaying style. The video mostly focused on Wasteland 2 (which I'm currently playing) and Pillars of Eternity (which is probably next on my list), with brief shouts-out to Shadowrun Returns (yay!) and the upcoming Planescape: Tides of Numenara (probably my most-anticipated game of this year). Like me, MrBtongue adores the classic Infinity games. He's been excited for the new games, and has enjoyed playing them, but also feels like something is missing, and they're not as special as the original games. At this point, I practically started yelling at my monitor: "That's because you're older now, dude!" Seriously, I think that the bulk of analysis about why X is worse now than it was in the past is really just a way for us to justify our subjective feelings of decay. MrBtongue is probably around the same age as me, and probably first encountered the Infinity games at a crucial formative period in his life, when the brain is eagerly molding itself around new experiences. Every game you encounter is one of the first games you've played, and will forever be special to you. Later games might exceed those games in a variety of ways, and younger people will embrace them in turn, while you and I are left grumbling at our Steam library about how this latest RPG we bought just doesn't surprise us as much as the RPGs we played as teenagers. It's the same sort of dynamic that powers intergenerational debates over music or cinema or comics or any other form of art. Which, I guess, is actually a really good thing, since it reinforces my games-as-art hobbyhorse. I do think that we would be better off remembering the message of Planescape: Torment and embracing change rather than clinging to the past. BUT, all of that being said, I also think that MrBtongue's arguments definitely hold water and are worth discussing. Here's what I think! He ascribes the shortcomings of the modern renaissance RPGs to two seemingly-good things: balanced gameplay and player choice. Balance is a really interesting point, and one I've been thinking about a lot lately. It isn't exclusively a concern for RPGs; someone at work is a serious player of Super Smash Brothers Melee, and pointed me towards this fascinating article and chart depicting the relative popularity/power of the different characters in this fighting game over time. As a Gamecube game, Melee couldn't be updated after it shipped, and players have spent well over a decade grappling with its mechanics. It's so interesting that, after all this time, players are still finding new uses for characters, new styles of play, and the understanding of who is "good" and who is "bad" continues to evolve. If Nintendo had rebalanced the game after it was first released, it would have buffed characters who later on became good in their own right, and nerfed once-hot characters that later became also-rans. The many devotees of Melee, compared to the later incarnations of Super Smash Brothers, will argue that it's this messiness that makes the game so great: the later games try harder to achieve parity, but paradoxically end up both less balanced and less fun. There's a lot to be said for the value of messiness (complex, unintuitive, interesting). There are two ways to play games: the way the designers intended, and the way players end up discovering. Earlier games can feel a little rough in the first department, but that same roughness makes the second department tons more funs. Think of speedruns, that modern sport where people compete to see who can most quickly beat a classic game (Super Mario Brothers, or Mario 64, or Ultima V, or Morrowind, just about any game). These often rely on glitches and exploits which were not discovered until the games had existed for more than a decade, the discovery of which has added entirely new dimensions to these games. In contrast, modern games like Super Mario Galaxy are basically speedrun-proof. The entire game is designed to gently force the player to follow their critical path for the entire duration, seeing all the sights the designer wants them to see. The fundamental game code no longer allows for shortcuts or clever solutions, just a bumpered lane to travel down. My all-time favorite game is Baldur's Gate 2, which definitely falls into the category of brilliant game with messy and hopelessly unbalanced design. I'm not an outlier in loving this game: BG2 is so beloved that a new company was formed just to refresh the game for modern hardware, and many vibrant communities continue to discuss the story and strategy. It isn't at all unusual to find people who have beaten the game eight, twelve, twenty or more times. The story helps a little with this - there are several good branching plots, multiple solutions to most problems, and a vast array of memorable characters. Among the most hard-core players, though, it's the scrappy unbalanced design that gives them the opportunity to try something new and keep having fun. Sometimes they'll exploit overpowered character types in order to complete a personal challenge like a solo run or a no-reload game; other times they'll deliberately select an inferior class (Jester, Wizard Slayer) for the challenge. All of this variability adds immense depth to the game, which is a huge part of the reason why people like me and MrBtongue love it so much. The thing is, though, modern gamers demand balance. Balance is really hard, and if there's a perception that a certain character type or strategy is more powerful than others, players will complain loudly and angrily to the developers. Even for non-competitive, single-player games, there's a deep-seated assumption that, if the game offers multiple choices in who you play as or what tools you can use, they should either be fundamentally equivalent or else clearly labeled in difficulty. If this isn't the case, an angry mob will declare the developers incompetent or malicious or both. I think that the Internet is ultimately to blame for the shift towards a hyper-sensitive devotion to balance. Back in 2000, there were message boards and forums and fan sites, but they were places you might go to after beating the game or running into a gamebreaking problem, and were generally populated only by superfans like yourself. When you played a game, it was really just about you and your experience. If you wanted to play Baldur's Gate 2 as a single-classed cleric, that seemed totally fine! You would have a fun game. You wouldn't worry about whether you were underpowered or overpowered for the job. Now, however, there are reams and reams of FAQs explaining how you SHOULD play the game: how many points to put into CON (remembering that you will pick up the Tome during the game), what level to dual your Kensage (you ARE playing a Kensage, right? ), and which companions you should pick up. Those same FAQs will also helpfully explain why CHA is a useless stat that you should dump, and why an Illusionist is better than a straight Mage, and that 2-Handed Swords are better than Halberds. Playing this game now, in 2016, all of this information is at our fingertips. It's just as broken now as it was when it was released, but it feels more broken, because we already know everything that's broken about it. BG2 got grandfathered in because everyone played it and loves it, but if a similarly sprawling and mis-matched game was released today, people would certainly complain about it. The other aspect that MrBtongue gets at is the sheer complexity of BG2: there's a truly ridiculous range of kits and specializations and spells and companions. Modern RPGs have sanded all of these down to a more manageable amount that can be properly playtested and balanced. You can't have one without the other, and between balance and range, developers (both independent and AAA) have settled on balance. And can you really blame them? If you were to ask gamers, "Would you rather have a few things done well or many things done poorly? ", they would probably prefer the former. That's what we've gotten. As much as I would love to see the pendulum swing in the other direction, I don't see how that can happen. On to the next major point MrBtongue explores: Choice! He leans heavily on Wasteland 2 in this section of the video, which is very convenient for me, since I'd just recently passed the point in question. There is a point, early in the game, where you are asked to choose between saving two mutually exclusive groups of people. Like MrBtongue, this choice fell very flat for me. It felt like there was no context to making the decision: you haven't met any of these people, your party members don't have any opinions, and even your commanding officer basically shrugs and says, "Eh, they're basically the same, I can't tell you which to pick." Your choice ends up feeling essentially random, and it's hard to feel too invested in the outcome (despite some of the best voice acting in the game). It ends up feeling like choice for choice's own sake, which is one of my least favorite trends in western RPGs. It doesn't fall into the trap of manichaeism that pollutes games like BioShock and Fable and Fallout 3, but the end effect is basically the same: you make a decision early on, and if you replay the game later, you'll pick the other one, just so you can see what content it unlocks. The choice is more of a mechanical device to serve up branching content, rather than a powerful part of the story. I started contrasting this with some of my favorite choices in RPGs. The gold standard may be deciding what to do with Caridin's Forge in Dragon Age: Origins. That choice felt impossible to make, and I spent nearly half an hour staring at the screen just because I couldn't reconcile all of my conflicting opinions. I had to weigh the existential threat that the Darkspawn posed towards the dwarves against my desire to end suffering, and weigh the passionate arguments that my companions had made for one side or another. I finally picked a lane, and was decently happy with it, but it was a key turning point in my story, and now I can't imagine having picked the other direction. 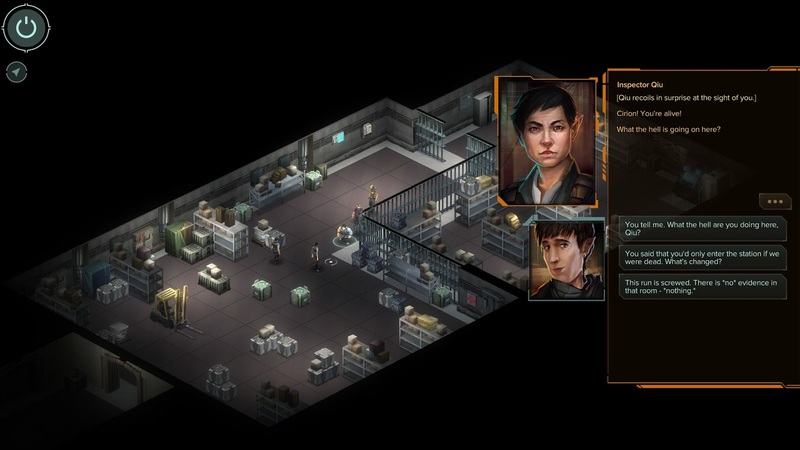 As a side note - fortunately, most of the other choices in Wasteland 2 have been better: the stakes feel more significant and relatable, especially after you've gotten more immersed in the world. I recently got upset at the lack of a choice: in one non-interactive cutscene, you witness a woman get caught in an explosion who falls to the ground in pain. When you reach her, she explains that her legs have been blown off, and begs you to kill her. This is a really popular situation in this game, for whatever reason. I refused, since that's not how I roll. Shortly after, I met a doctor who specializes in making artificial limbs. Hey, perfect! She can make some new legs for that poor woman! Except, she can't. There's no dialogue choice available to say "Hey, there's this person right outside your complex who could really use your help. In fact, you are uniquely qualified to address the specific problem she has!" So, that was annoying... but, I realized upon further reflection, the reason I was annoyed was because the game has generally been so good about providing multiple, non-obvious solutions to dilemmas, and so I'd been trained to look for those answers outside the box. That's actually a good thing; it's exactly this kind of sprawling reactivity that's missing from many marquee AAA games that get labeled "RPGs" but contain little to no role-playing. Anyways - unlike balance, I think that choice is an area where modern game companies absolutely can make improvements. Not everyone will care if a game's choices are organically tied to the stories they tell, but I don't think players will actually get upset if they are, and story junkies like me will absolutely eat that up. There are a lot of different ways this could go... I would love to see the types of choices Failbetter Games offers infect more mainstream games, particularly their beloved trope of "Here is an awful option that you should absolutely not select, we're seriously warning you not to do it." And, unlike mechanical balance, I think there's more leeway for plot choices to yield asymmetric results, so long as it's communicated in-game. You can choose to rescue the scouts, but it will mean a tougher battle ahead; you can head straight for the Capitol, but you'll miss out on some side-quests. So, yeah. Fortunately, I think there's already been a significant improvement in the quantity and quality of player choices over the past several years, thanks in large part to the renaissance Kickstarted neo-Infinity games. It isn't perfect, and probably never will be, but things seem to be moving in the right direction, and the market seems to be responding. Unbalanced games will probably remain a relic of the past, for better or for worse, but the best days of player choice may still lie ahead of us.